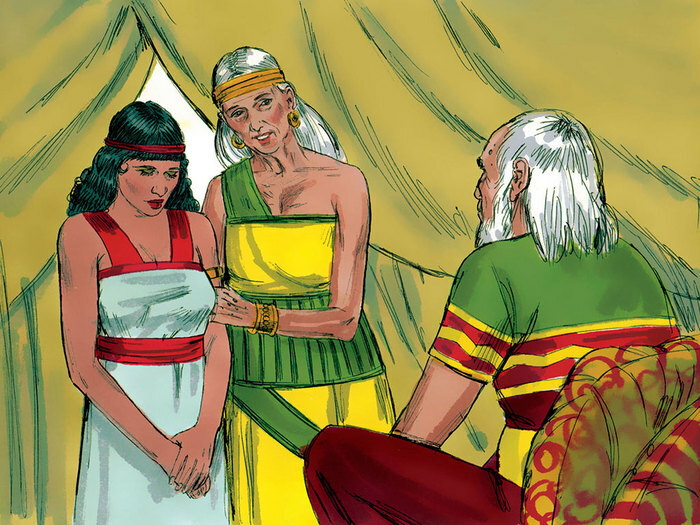 Here we witness that like Abram, Sarai had trouble believing God’s promise and she took matters in her own hands by giving Hagar to Abram. Out of this lack of faith came a series of problems. This invariably happens when we take over for God trying to make his promise come true through efforts that are not in line with his specific directions. In this case, time was greatest test of Abram and Sarai’s willingness to let God work in their lives. Sometimes we too must simply wait. When we ask God for something and have to wait, it is a temptation to take matters into our own hands and interfere with God’s plan. Let’s Pray: Lord my refuge, encourage us to serve You wholeheartedly. It stands true that we are to live for God and we are likely to be at the right place at the right time. Father, help us be patient and kind and loving. Amen. -girl; it may be that I shall obtain children by her.” And Abram listened to the voice of Sarai. 3 So, after Abram had lived ten years in the land of Canaan, Sarai, Abram’s wife, took Hagar the Egyptian, her slave-girl, and gave her to her husband Abram as a wife. 4 He went in to Hagar, and she conceived; and when she saw that she had conceived, she looked with contempt on her mistress. 6 But Abram said to Sarai, “Your slave-girl is in your power; do to her as you please.” Then Sarai dealt harshly with her, and she ran away from her. 11 And the angel of the LORD said to her, “Now you have conceived and shall bear a son; you shall call him Ishmael, for the LORD has given heed to your affliction. 14 Therefore the well was called Beer-lahai-roi; it lies between Kadesh and Bered. 15 Hagar bore Abram a son; and Abram named his son, whom Hagar bore, Ishmael.